Well this is a first for me in a long time... I wore this fabulous polish from Thursday right through until Sunday!! For me that is epic! 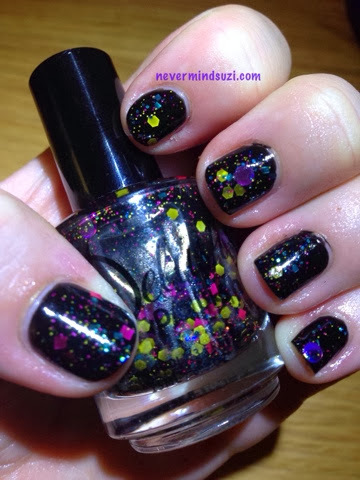 Not only is the polish a stunner though, I was too busy partying with my Nails Inc girlies to have time for constant changes. 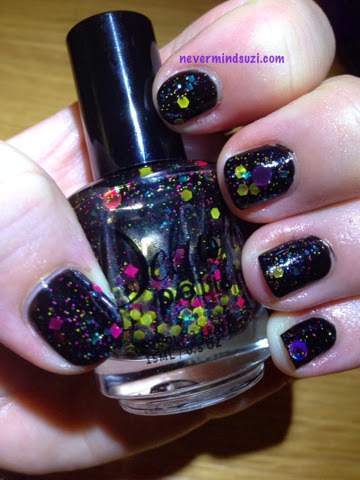 A black crelly which I've layered over Essence - Black is Back, this is full of the brightest prettiest glitter. The gorgeous glitters through the black mean that regardless of my stumps I can have a bit of colour.